If anyone has played competitive team sport in their life they may have heard of the KIS principle, which stand for Keep It Simple. Looking back on my trip I am finding it fascinating that many of the wineries and regions that I most connected with have this same principle in mind. Even more interesting is that this connection was regardless of red or white wine, but applied to philosophies and practices as well as style. The clarity purity and minerality of the rieslings I tasted in Germany blew me away, as did the gruner veltliners in Austria. Some of the best wines I tasted in Spain were those that were straightforward and approachable, such as the albarinos in Rias Baixas and the verdejos in Rueda. In terms of French wine, the simple white wines of the Loire Valley and Chablis have a special place in my heart, as the minimal intervention they make in the wineries means it is purely the expression of the variety in their particular terroir. In fact there are a number of similarities in terms of climate and soil composition between Sancerre, Pouilly and Chablis, but the latter chooses to express through chardonnay rather than sauvignon blanc. The minerality of these regions is legendary, but I am starting to see there are some different expressions that still follow the KIS principle. The first estate I visited for the day was Domaine Pinson. Possibly sounding like a severely broken record, the Pinson family have a very long viticultural history in Chablis but it wasn’t until the ’70s that they decided to bottle and sell their wines commercially. Prior to this the juice was fermented into wine and either sold to negociants or directly to customers in casks rather than bottle or barrel. Initially only a few thousand bottles were produced and sold, but as Chablis grew so did Domaine Pinson. The majority of the parcels they own are actually in premier cru vineyards, with a little grand cru and village. 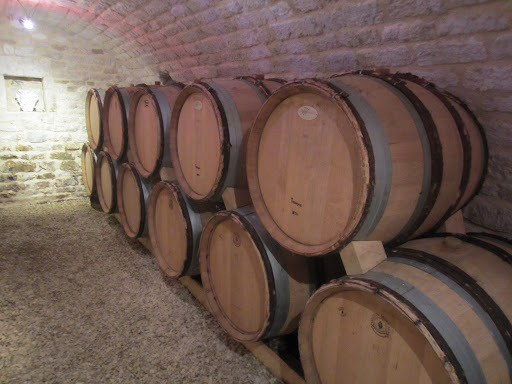 The wines are made quite simply, but all of the cru wines are fermented in barrel. The vinification and aging all occurs at the cellars in town, with most of them going overseas but France still the largest single market. As their customers are all pretty traditional they seal their wines under natural cork apart from the village Chablis which uses a diam. For those who don’t know, diam corks are made by crushing recycled natural corks into powder (thereby eliminating any traces of cork fault), and then reformed more consistently and tightly. I put my host at Domaine Pinson the question why all the wines aren’t sealed using a diam, and she explained that it was simply because they didn’t yet know how and how long the wines age under these seals. They are sealing some wines under diam to experiment with aging, much like many important producers in Australia trial screw-caps for aging ability. There isn’t a lot else that stands out for Domaine Pinson, they are a small family-owned producer in Chablis who make very good wine. Click here to read my tasting notes. 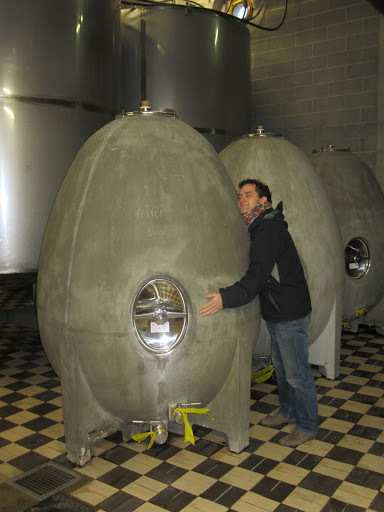 The other producer I visited in 2010 in Chablis was Patrick Piuze and he was one of the highlights of my entire trip. When I returned to Australia I happily told whoever was in earshot that he was the future icon of Chablis, which seems to be happening much faster than I predicted. My first time I was late because the cellars were on the outskirts of the village and weren’t on my navigator so I had a little difficulty finding it. 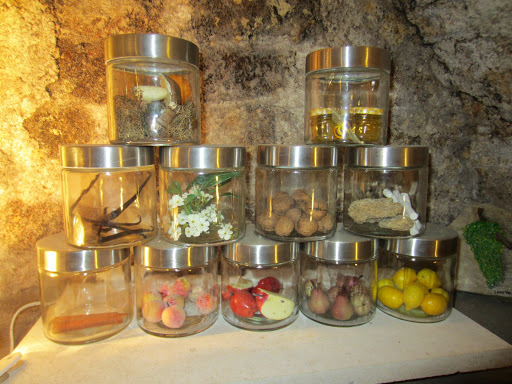 I thought I knew where it was and that I had the wrong address, but it turns out that Patrick moved into an old cellar that for now belongs to Domaine Vocoret, where I found him within the village proper. Very wisely he hasn’t changed the signs advertising the original owners as he doesn’t want too many people stumbling upon it and disturbing him. I have since found out that he is now selling his wines on allocation to a number of customers world-wide, and they sell out very fast. Last week he was in Japan and they had already sold out of the 2011 wines, and would have to wait until the 2012 wines are released. In honesty he can’t keep the wines before release as long as he would like, but the huge demand and his need to pay bills require him to sell them earlier. When you visit, don’t expect to be able to buy any wines, they are all spoken for. Patrick actually hails from French-Canada but was drawn to France for his love of wines. He has actually worked vintage in Australia for a number of great producers including Mount Langi Ghiran not far from my own city. Whilst there he was very close to the Steel family who import his (along with a number of other top Burgundy producers) into Australia. In a way he is a little bit Australian, perhaps another reason I like him so much. He currently doesn’t own any vineyards, and thus he purchases fruit from a number of growers with three main ones. He works with two village vineyards, six premier cru and six grand cru. The growers handle everything up to two months before the harvest which is when Patrick takes over to handle the harvesting. He has started to use an older mechanical press which can actually press the whole grape bunches harder with more skin and stalk contact to add more texture and introduce more solids and nutrients into the ferments. The wines are entirely spontaneously fermented in barrel without filtering or yeast addition, and they stay there throughout malolactic fermentation and maturing on the lees without racking or battonage, totally natural. 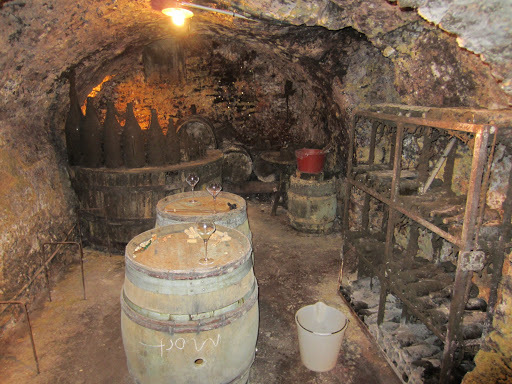 This very traditional approach to the winemaking is a very different style for Chablis, but create wines of such amazing character and texture they are totally unique. Tasting some of the 2012 barrels was fantastic, and he even gave me a few from 2011 to taste with food, amazing generosity considering the demand for his wines. Please click here to read the barrel tasting notes. 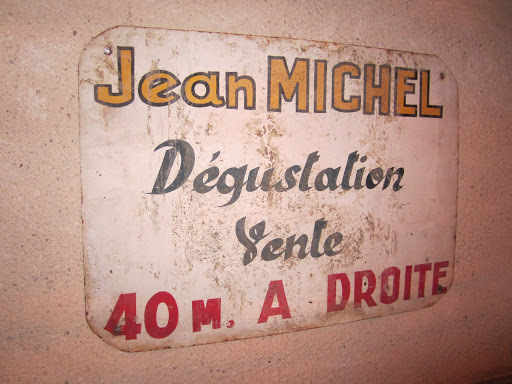 Another estate that decided to make the leap from pure viticulturalists to proprietors back in the 1970s was Domaine Louis Michel, who until recently thought that their family had been growing grapes since 1850 but have found some documents going back even further. 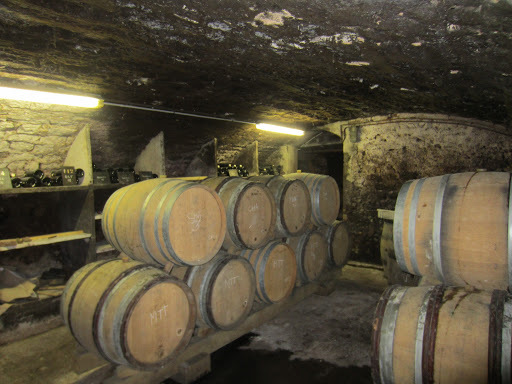 The cellars are actually just around the corner from Domaine Pinson, and in terms of size and relative ownership of parcels in the different levels of the appellation they are quite similar. They have a very non-interventionist sustainable approach in the vineyards, attempting to get healthier lower yielding vines that are more suited to the terroir and have better natural protection against the elements. The fruit is harvested at the last possible minute to ensure the ripeness that captures the minerality of the soil and depth of character in the wine. This commitment to growing fruit that reflects the terroir and vintage carries through into the winery where they use absolutely no oak, choosing to ferment and store the wines entirely in stainless steel tanks. There seems to be a common misconception that Chablis is unoaked which is a little inaccurate, and in fact most of the top wines have some barrel fermentation and even ageing, albeit not the same amount as white burgundy. Finally all the wines are allowed to ferment spontaneously to ensure a more natural expression of the vintage. Having tasted the Louis Michel wines with Guillaume Gicqueau-Michel the difference is noticeable, and the wines are great. I even got to try a few wines with some more age to see how they develop. Click here to read my tasting notes. My final appointment in Chablis was somewhat impromptu as I was invited over lunch. I joined the manager of the Laroche tasting room Etienne who I met the day before, and his cousin Alexi, who happens to be from the in-laws of Jean Marc Brocard and works for the business. Brocard is one of the largest owners of vineyards in Chablis, with about 200 hectares throughout all four appelations. The growth has been quite meteoric considering only 20 hectares were owned forty years ago. Brocard is one of the widest distributed Chablis wines but doesn’t sell very much through large retailing, preferring to work in many different markets around the world. They have started to experiment with organics and bio-dynamics, using about 100 permanent staff throughout the vineyards and winery. The wines are all technically fine but without much character at all. I did find a cement egg though, which made me a bit excited. Click here to read my tasting notes. Click here to see more photos from my second day in Chablis, France.